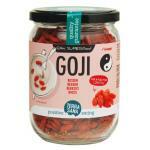 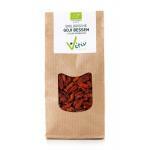 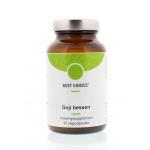 Goji berries are becomming more and more popular among lovers of natural products. 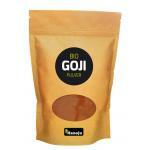 The Goji berry is a Super Food and often used as a healthy snack between meals or used in smoothies. 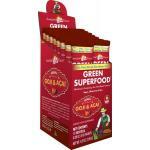 It is very rich in nutrients and has a very nice flavor. 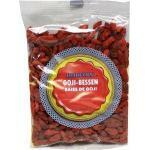 We sell Goji berries of high quality brands which are known for their specialty in super foods. 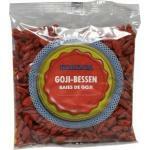 Dried Goji berries may have a slightly bitter taste, however if you leave them in water for a few ours, a nice mild sweet taste appears. 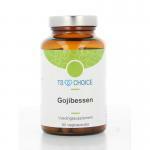 Goji berries are by far not the only superfoods we sell, we have many other superfoods from trusted manufacturers and full of good nutrients. 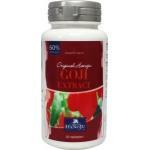 Many poeple buy there natural supplements and foods in our health store because of our hgh quality products and good prices!